Every rock climber knows how risky the sport is. Some not only fall prey to the risk, they end up slightly embarrassed and in a little trouble as well. 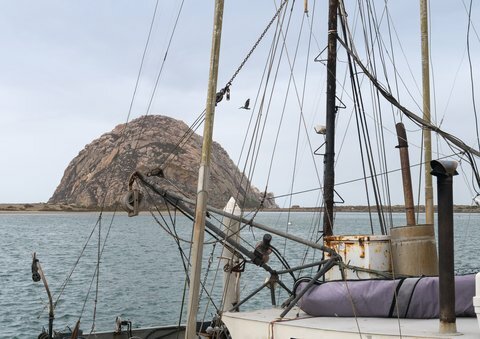 For example, Michael Banks, a 27-year-old climber was rescued and then arrested on drug charges after he climbed the 581-foot volcanic plug called Morro Rock, on the northern California coast, according to CNN. And here’s the topper: Reports say he went up there to propose to his girlfriend via a Facetime app on his phone. While his intentions were grand, and clearly worthy of such a monumental question, maybe some parts of his judgement process were not so sound. A California Highway Patrol helicopter, as well as fire department crews from Morro Bay, managed to rescue Banks, and later law enforcement officials suspected him of having used drugs.